The chart-topping singer, who penned Moments and Little Things for the X Factor boyband, admitted he defied Atlantic Records, who had been "annoyed" that his best-performing song had been recorded by someone else. He told Australian radio station Nova's Kent 'Smallzy' Small: "I wasn't gonna do it... Basically, my record label got very annoyed that my first Number One was a song that I gave to someone else, and they were kind of like 'Don't do it'." 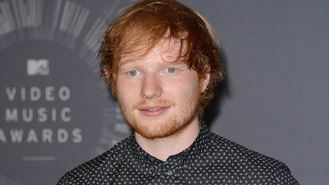 Ed said he initially turned down a request from Simon Cowell to write a track for the group's forthcoming album, Four, after hearing his label's complaints, but changed his mind when inspiration struck him in Copenhagen. "I just got an idea and I went in the shower room, where it's big and reverberative, and wrote it. I was like, 'That sounds like a song that would be perfect for them', and sent it across," he said. "It's one of these songs that I wouldn't have used for myself; it was written specifically for them," the 23-year-old star added.